The POLYWOOD® Nautical 37" Square Dining Table helps create an outstanding outdoor dining area that every home needs for those beautiful nights alone with the family. Whether you are enjoying evening drinks with friends or having a family meal, this polywood table opens the door for new experiences and lasting memories. 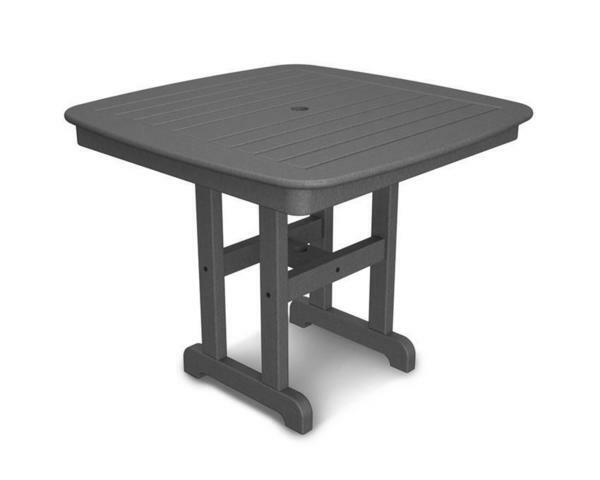 Customize this polywood table to match the rest of your outdoor decor by selecting your own poly color. Complete the dining set by adding some of our polywood dining chairs to your outdoor collection and your patio furniture will be all set. Box One Dimensions - 40" x 39" x 5"
Box One Weight - 58 lbs.